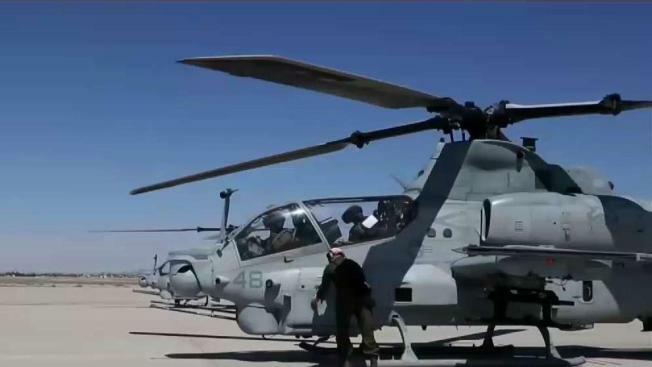 Two Marine pilots have died in a helicopter crash during a training mission in southwestern Arizona, U.S. Marine Corps officials said Sunday. The station is located about 2 miles from Yuma and the 1,300-square-mile training ground is one of the world's largest military installations. In 1996, a Marine electronic-warfare plane went down during a training mission on a gunnery range near the Gila Mountains, about 40 miles east of the Yuma station, killing all four people aboard. The crew was from the Marine base at Cherry Point, North Carolina, and was training at Yuma.